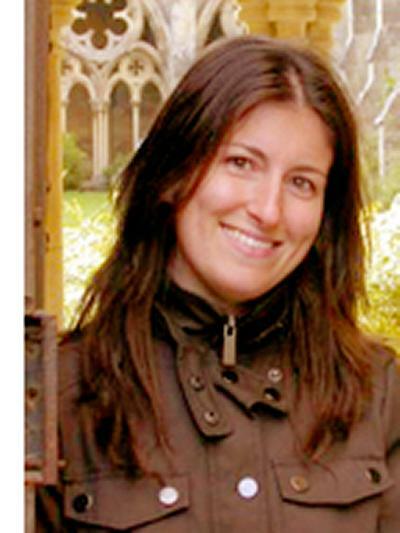 Dr Valeria De Lucca is a Associate Professor in Music at the University of Southampton. I am the coordinator of the Masters programme in Music and am responsible for Masters admissions for the academic year 2017/18. This means that I oversee our Masters students’ progress from admission to graduation, providing advice and support throughout their course of study at the University of Southampton. At undergraduate level I teach the core first-year modules in music history, as well as modules in Baroque opera and the American musical. In my lectures I always aim to discuss how social, political and cultural contexts influence the ways in which music is produced and consumed. To this end I favour an interdisciplinary approach, in which a musical work is considered in dialogue with the visual arts, literature and other forms of media. My teaching reflects my methods and approaches to research. My main areas of interest are opera and musical theatre. I have worked extensively on seventeenth-century music and culture, patronage and funding of opera, the role that women played in shaping the cultural life of seventeenth-century Rome, and the staging and visual aspects of the operatic performance. In particular, I recently became interested in stage costumes and the multiplicity of meanings and functions they fulfilled in opera and musical theatre from the late Renaissance to 1900. I regularly deliver papers, give pre-performance lectures and write programme notes on these subjects, and I have recently featured in a BBC 2 documentary on the premiere of Mozart’s Don Giovanni in Prague in 1787. After I completed my MA and PhD at Princeton University, I held an Andrew W. Mellon/American Council of Learned Societies Early Career Fellowship at the Centre for Research in the Arts, Social Sciences and Humanities (CRASSH) at the University of Cambridge, and a Fellowship at the Metropolitan Museum of Art, New York. I joined the Department of Music at the University of Southampton in 2009 as a British Academy Postdoctoral Fellow, and have been a lecturer here since 2011. My main areas of interest are opera and musical theatre. I have worked extensively on seventeenth-century opera and society, looking in particular at the ways in which class and gender influenced the patronage of musical entertainments in seventeenth-century Italy. One of my current projects, a book entitled The Politics of Princely Entertainment: The Patronage of Music and Theatre of Lorenzo Onofrio and Maria Mancini Colonna (1659–1689), looks at music and theatrical entertainments as political tools through which members of the Roman aristocracy enhanced their social and political agendas. The book also addresses questions about the circulation of musical scores, and the musicians, singers and composers across the worlds of the court and the public theatre, examining the ways in which diverse socio-political and cultural milieu shaped the production of opera and, ultimately, the work itself. Other projects related to seventeenth-century music and culture include the study of stage costumes in early modern opera, and a study that stems from the “detective” work I conducted at the Metropolitan Music of Art, New York, during the academic year 2012/13 to identify the provenance of a 400-year-old harpsichord, now housed in the Met collection of musical instruments. My work has appeared in several volumes and musicological journals including The Oxford Handbook of Opera, Rivista italiana di musicologia, Renaissance Studies, The Journal of Musicology, Early Music and the Journal of Seventeenth-Century Music. My article ‘Dressed to Impress: The Costumes for Antonio Cesti’s Orontea in Rome (1661)’ received the J.M. Thomson Prize for best article by an early career scholar to appear in Early Music in 2013. I am the editor of Fashioning Opera and Musical Theatre: Stage Costumes in Europe from the Late Renaissance to 1900, which collects the results of a conference I organised in the spring of 2012 in collaboration with the Fondazione Giorgio Cini in Venice. De Lucca, V. (2015). The power of the prima donna: Giulia Masotti’s repertory of choice. Journal of Seventeenth-Century Music, 17 (2011)(1). De Lucca, V. (2009). Review: Kelley A. Harness, Echoes of Women’s Voices: Music, Art, and Female Patronage in Early Modern Florence. Early Modern Women: An Interdisciplinary Journal, 4, 275-281. De Lucca, V. (2009). Review: Thomasin LaMay, ed., Musical Voices of Early Modern Women: Many-Headed Melodies. Early Modern Women: An Interdisciplinary Journal, 4, 275-281. De Lucca, V. (2006). Warsaw draws Eastern Europe into biennial meeting. The SSCM Newsletter, 16(1), 10-11. De Lucca, V. (2005). A Mozart autograph in the Scheide collection at Firestone Library, Princeton University. Mozart Society of America Newsletter, 9(2), 6-7. De Lucca, V. (2001). Review of Marco Uccellini da Forlimpopoli e la sua musica. Atti del convegno (Forlimpopoli, Italy, 26-27 ottobre 1996), con l’aggiunta di nuovi saggi sulla musica alla corte di Modena dopo Marco Uccellini, edited by Maria Caraci Vela e Marina Toffetti. Rivista di Italiana Musicologia, 36(1), 154-157. De Lucca, V. (2001). Un’antologia strumentale per Francesco II d’Este: analisi iconologica e considerazioni sullo stile. Rivista di Italiana Musicologia, 36(1), 3-23. De Lucca, V. (2001). Una silloge strumentale per Francesco II d'Este: analisi iconologica e considerazioni sullo stile. Rivista di Italiana Musicologia, 36, 3-23. De Lucca, V. (Accepted/In press). The politics of princely entertainment: music and patronage during the lives of Lorenzo Onofrio and Maria Mancini Colonna (1659-1689). Oxford University Press. De Lucca, V., & Jeanneret, C. (Eds.) (Accepted/In press). The grand theatre of the world: music, space, and the performance of identity in Early Modern Rome. London, GB: Routledge. De Lucca, V. (Ed.) (2014). Fashioning opera and musical theatre: stage costumes from the Late Renaissance to 1900. Venice, IT: Fondazione Giorgio Cini. Carboni, F., De Lucca, V., & Ziino, A. (2003). Tullio Cima, Domenico Massenzio e la musica del loro tempo Atti del Convegno. Rome, IT: IBIMUS. Carboni, F., de Lucca, V., & Agostino, Z. (Eds.) (2003). Tullio Cima, Domenico Massenzio e la musica del loro tempo. atti del convegno internazionale. (Colloquia / Istituto di bibliografia musicale; No. 2). L'Istituto di Bibliografia Musicale. De Lucca, V. (2014). Patronage. In H. Greenwald (Ed. ), The Oxford Handbook of Opera (pp. 648-665). Oxford, GB: Oxford University Press. De Lucca, V. (2012). Opera e mecenatismo tra Roma e Venezia nella seconda metà del Seicento. In C. Giron-Panel, & A-M. Goulet (Eds. ), La Musique à Rome au XVIIe Siècle: Etudes et Perspectives de Recherche (pp. 341-353). Rome, IT: École Française de Rome. De Lucca, V. (2012). Patronage. In H. Greenwald (Ed. ), The Oxford Handbook of Opera Oxford, GB: Oxford University Press. De Lucca, V. (2009). Pallade al valor, venere al volto: music, theatricality, and performance in Marie Mancini Colonna's Patronage. In S. Shifrin (Ed. ), The Wandering Life I Led: Essays on Hortense Mancini, Duchess Mazarin and Early Modern Women's Border Crossings (pp. 113-156). Newcastle upon Tyne, UK: Cambridge Scholars Publishing. De Lucca, V., & Santucci, V. (2003). Le tre messe di Tullio Cima: prime considerazioni. In F. Carboni, V. De Lucca, & Z. Agostino (Eds. ), Tullio Cima, Domenico Massenzio e la Musica del Loro Tempo L'Istituto di Bibliografia Musicale. The Politics of Princely Entertainment: The Patronage of Music and Theatre of Lorenzo Onofrio and Maria Mancini Colonna (1659–1689). In progress. Fashioning Opera and Musical Theater: Stage Costumes in Europe from the Late Renaissance to 1900. Venice: Fondazione Giorgio Cini, 2014. Available at: http://www.cini.it/publications/fashioning-opera-musical-theatre-stage-costumes-late-renaissance-1900). (With Fabio Carboni and Agostino Ziino), Tullio Cima, Domenico Massenzio e la musica del loro tempo. Atti del Convegno (Ronciglione, Italy, 1997). Rome: IBIMUS, 2003. ‘The Power of the Prima Donna: Giulia Masotti’s Repertory of Choice.’ Journal of Seventeenth-Century Music 17 (2011): forthcoming. ‘Opera e mecenatismo tra Roma e Venezia nella seconda metà del Seicento.’ In La musica a Roma nel Seicento, eds. Anne-Madeleine Goulet and Caroline Giron-Panel. Collection de l’École française de Rome. Rome: École française de Rome, 2012. 341–353. ‘L’Alcasta and the Emergence of Collective Patronage in Mid-Seventeenth-Century Rome.’ The Journal of Musicology 28 (2011): 195–230. ‘Strategies of Women Patrons of Music and Theatre in Early-Modern Rome: Maria Mancini Colonna, Queen Christina of Sweden, and Women of their Circle.’ Renaissance Studies 25 (2011): 374–392. ‘“Pallade al valor, Venere al volto”: Music, Theatricality, and Performance in Marie Mancini Colonna’s Patronage.’ In “The Wandering Life I Led”: Essays on Hortense Mancini, Duchess Mazarin and Early Modern Women’s Border-Crossings, ed. Susan Shifrin. Cambridge: Cambridge Scholars Publishing, 2009. 113–156. ‘A Mozart autograph in the Scheide collection at Firestone Library, Princeton University.’ Mozart Society of America Newsletter 9, no. 2 (2005): 6–7. (As co-author) ‘Le tre messe di Tullio Cima: prime considerazioni.’ In Tullio Cima, Domenico Massenzio e la musica del loro tempo. Atti del convegno (Ronciglione, Italy, 1997). Rome: IBIMUS, 2003. 427–437. ‘Un’antologia strumentale per Francesco II d’Este: analisi iconologica e considerazioni sullo stile.’ Rivista Italiana di Musicologia 36 (2001): 3–23. Review of Barocco Padano 6. Atti del XIV Convegno Internazionale sulla musica italiana nei secoli XVII–XVIII, ed. Alberto Colzani, Andrea Luppi, Maurizio Padoan (Como: A.M.I.S., 2010). Music & Letters 93 (2012): 228–230. Review Essay of Kelly Ann Harness, Echoes of Women’s Voices: Music, Art, and Female Patronage in Early Modern Florence (University of Chicago Press, 2006); and Musical Voices of Early Modern Women: Many-Headed Melodies, ed. Thomasin LaMay (Ashgate, 2005). Early Modern Women: An Interdisciplinary Journal 4 (2009): 275–281. Report on the Twelfth Biennial International Conference on Baroque Music, Warsaw Poland. 17th-Century Music Newsletter 16, no. 1 (2006): 1, 10–11. Review of Marco Uccellini da Forlimpopoli e la sua musica. Atti del convegno (Forlimpopoli, Italy, 26–27 ottobre 1996); con l’aggiunta di nuovi saggi sulla musica alla corte di Modena dopo Marco Uccellini, ed. Maria Caraci Vela e Marina Toffetti (Lucca: LIM, 1999). Rivista Italiana di Musicologia 36 (2001): 154–157. (with Hans Heinrich Eggebrecht and Jutta Pumpe), ‘Fellinger, Imogen’. (with Edith Gerson-Kiwi), ‘Gradenwitz, Peter’. (with Christiane Spieth-Weissenbacher), ‘Lesure, François’.